An emergency lighting system enables people to leave a building safely in the event of a mains power cut leaving it in near or total darkness. The emergency system needs to meet fire safety legislation, so it is visually acceptable as well as meeting the user's needs for ease of operation and maintenance. All relevant legal requirements for the emergency lighting should be established before beginning the design; ideally these should be agreed between the system designer, user, fire authority, building control officer and system installer. Emergency lighting is usually required to operate fully automatically and give sufficient illumination to enable people of all ages to evacuate the building safely. Most new buildings now have emergency lighting installed during construction, the design and type of equipment is normally specified by the relevant local authority, architect or consultant. Non-maintained - The emergency light is only illuminated when the mains supply is interrupted. Maintained - The emergency light uses the same source for both mains, which is usually switched and in emergency mode. Sustained- The emergency light has a separate light source for both mains and emergency mode, for Emergency Lighting. The British Standard recommends that all emergency lighting systems are serviced every six months. Our engineers regularly carry out this type of work and our vehicles carry all the necessary testing equipment to cater for all types of Systems. 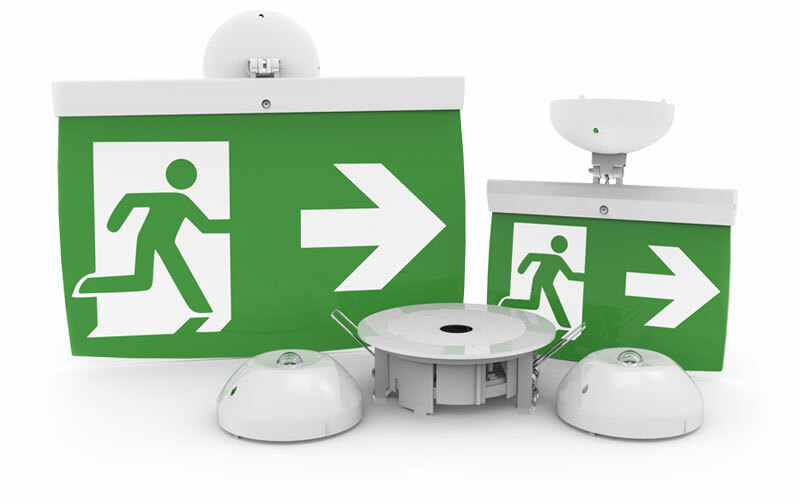 Vulcan Fire offers full service and maintenance of emergency lighting in accordance with BS5266 and BS9990. Call Vulcan Fire on 0845 017 8184 for more information and advice on emergency lighting for your premises.